New Home builders are creating new home communities throughout the greater Tucson Arizona. National home builders in Tucson are experiencing a strong demand for their homes. Tucson new home builders are meeting the needs of buyers moving to Tucson. New home communities are available for first time buyers, 55+ communities and upscale buyers. New home builders are offering great room floor plans with lots of features and options. First time home buyers will find homes that will balance lifestyle and affordability. Active adults looking for a 55+ community can look at Robson Homes and Del Webb homes. Upscale home buyers should look at Maracay, Fairfield and Mattamy home builders. But don’t think these are the only Tucson new home builders to check out. But before you walk in to any Tucson new home builders sales office read the – “8 Things To Know BEFORE You Enter The New Home Builders Model Homes and Sales Office” – BELOW! Why buy a new home? The answer depends on what you, the buyer, is looking for. Buying a new construction home is a bit more involved compared to buying a resale home. But it offers the opportunity to “make it yours” right out of the box. If you want to create your dream home, then buying a new home is one way to go. If you register at the builder’s site, you are on your own to work through the builder’s contract and all purchase decisions. Yes, the builder’s sales agent will work with you through the paper work. They will answer your questions. BUT with who in mind? You or the builder they work for? And one more thing to understand. You will not pay more to have a Tucson Realtor represent you when buying any new homes in Tucson. Tucson Home building companies abide by a ‘Single Pricing Policy’. The builders pricing is the same whether you use a Tucson Realtor to represent you or not. Why would you want to use a Tucson Realtor to represent you when buying a new construction home in Tucson? Because they represent YOU – The Buyer! A Realtor is responsible to protect their client’s interests. 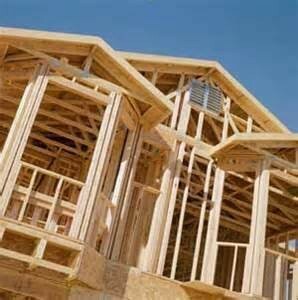 We have experience working through most of the home builders in Tucson. And one thing we know, each new home community builder has a different contract. The contract you will sign protects the builder, NOT YOU! When we represent a new home buyer understand each section in the contract they will sign. Help you understand what the language means – to YOU. What could go wrong and what happens to YOU if it does. Will the builder alter their contract language? In some cases, MAYBE! In most No! We will ask the questions and get answers to help you make an informed decision. We will be your TRUSTED adviser when you decide to buy a new home in Tucson AZ. Working with new home builders may seem a difficult task. But it’s not if you have a Realtor with the experience and training at your side. We have unmatched business experience BEFORE becoming experts in Tucson Real Estate. Check out our backgrounds and experience. Read what our clients have to say about our services. Kim is certified as a “new construction buyers representative”. And as a “senior real estate specialist”. Kim is ready to work for you in buying your new Tucson home. If you are moving to Tucson for a new job, looking for a winter retreat or future place to retire, We can help!